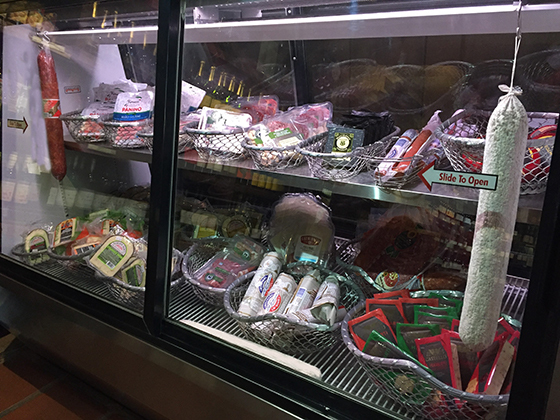 The Gift Shop is filled with an expansive array of specialty food products, authentic Italian specialties, clothing, wine accessories, unique gifts and so much more. We also offer monthly wine specials in the adjoining Tasting Room. Our Gift Shop is open daily from 10 am and is closed major Holidays including: New Years Day, Easter, July 4th, Thanksgiving and Christmas Day. Love to shop? Have we got good news for you! How about if you could sip delicious, award winning wine while selecting unique and beautiful gifts for everyone on your list including yourself? We offer free, ample parking and friendly, knowledgeable staff to help you. Sounds like a painless way to shop during the holiday season or any time. So make the short drive to Morgan Hill and visit beautiful Guglielmo Winery. Choose from many award-winning wines and an impressive selection of domestic and international gourmet foods. Browse our huge selection of unique gifts for everyone. We feature wine themed gifts, custom gift baskets, and even personalized wine labels for special occasions.